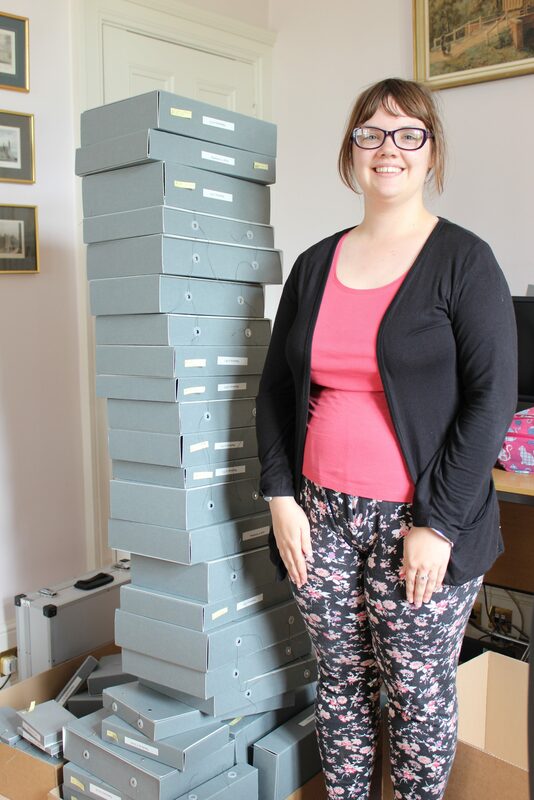 I joined the Thackeray Project at King’s College Library as a volunteer in June 2017 having found out about the project through an online newspaper article. I decided to take part in the project because I have a great passion for history and for books. I also believed that I would gain valuable experience at King’s which would be important for my long-term interests in museums, libraries and archives. As a member of the project I had a number of duties which included: phase boxing of rare books, preparing and invigilating the Jane Austen open days and editing on the King’s College website/blog. Me standing next to a stack of phase boxes. 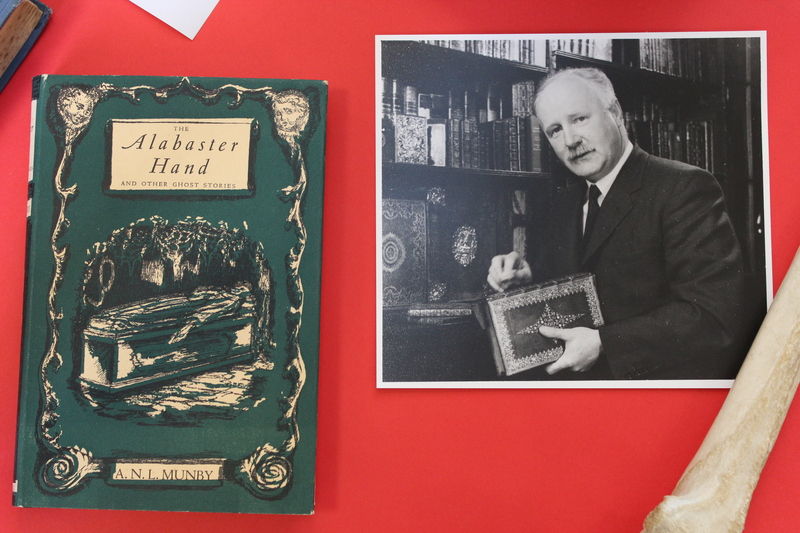 The boxing of the Thackeray collection books was central to the project. There were many books that were in need of archival-standard ‘phase boxes’ in order to protect them from further wear and tear. Although it took me a little time to learn and understand how the books were numbered and shelved (having only had experience with the Dewey Decimal system previously), I loved boxing the books because I liked handling them and studying their bindings and pages. I also enjoyed the fact that I was helping to preserve history for the future, something which I’m very passionate about. 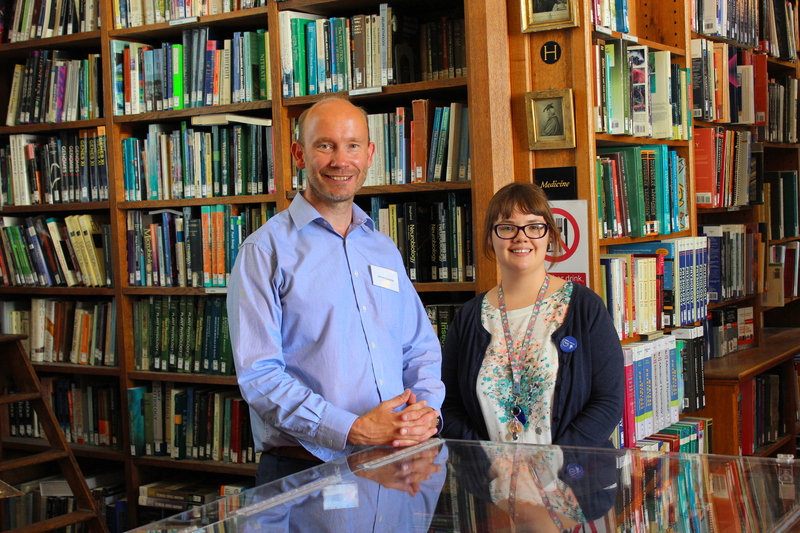 Me with College Librarian, James Clements, awaiting visitors to the Jane Austen Open Day. When the boxing stage of the Thackeray Project was coming to a close, I became involved in the preparation and the invigilation of the Jane Austen open days which we had over the summer of 2017. I really enjoyed both aspects of the open days. As with phase boxing, I loved being close to the volumes and learning about Jane Austen and her works; I’ve come away with more knowledge about Austen than I had before. 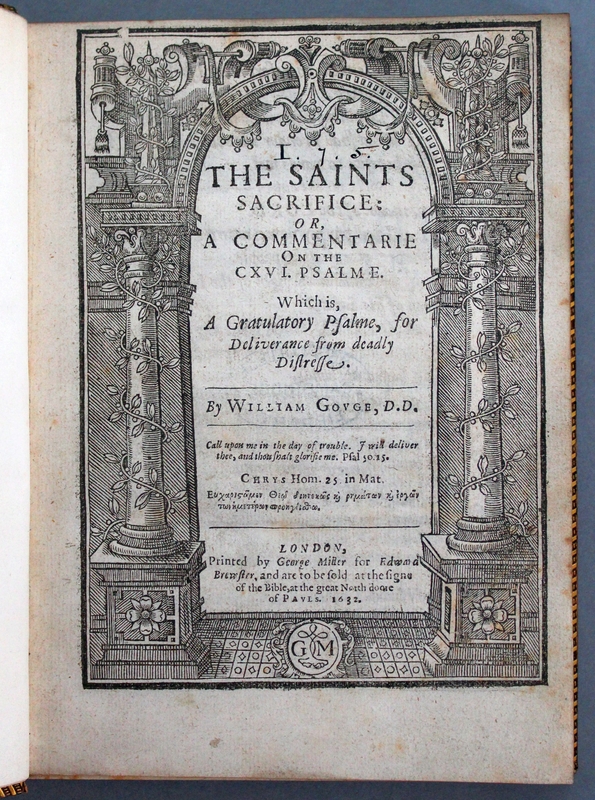 A particularly memorable moment was seeing the Sanditon manuscript which took centre stage at the open days. After many weeks of preparation, i.e. 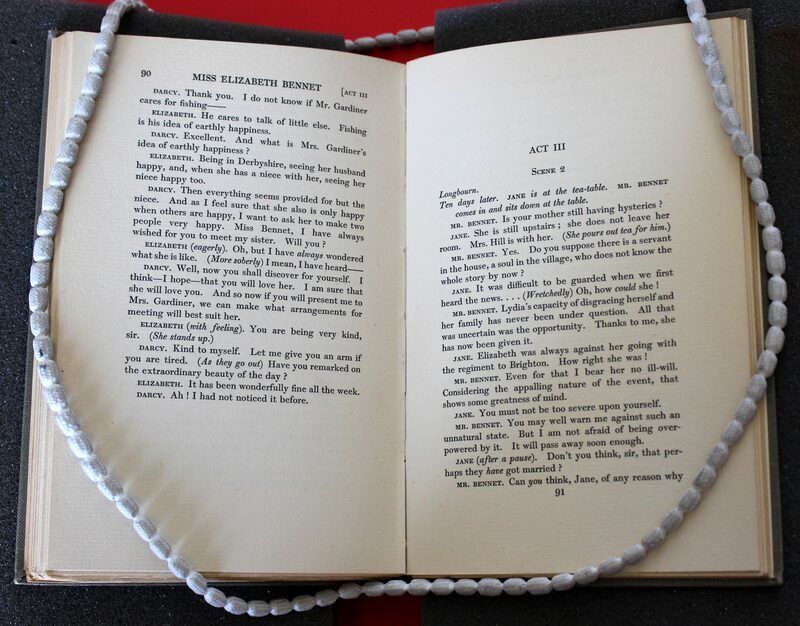 selecting the books, writing the captions, preparing the posters and so on, we had our first Jane Austen open day on 18 July 2017, the bicentenary of her death. I took part in invigilating the event, monitoring the displays and assisting the general public with their enquiries. Although it was extremely exhausting, I had a wonderful time. It was especially pleasing when I found out that we had 1,061 visitors in total for that day which was an indication of the success of the event. Visitors viewing the Jane Austen exhibition. 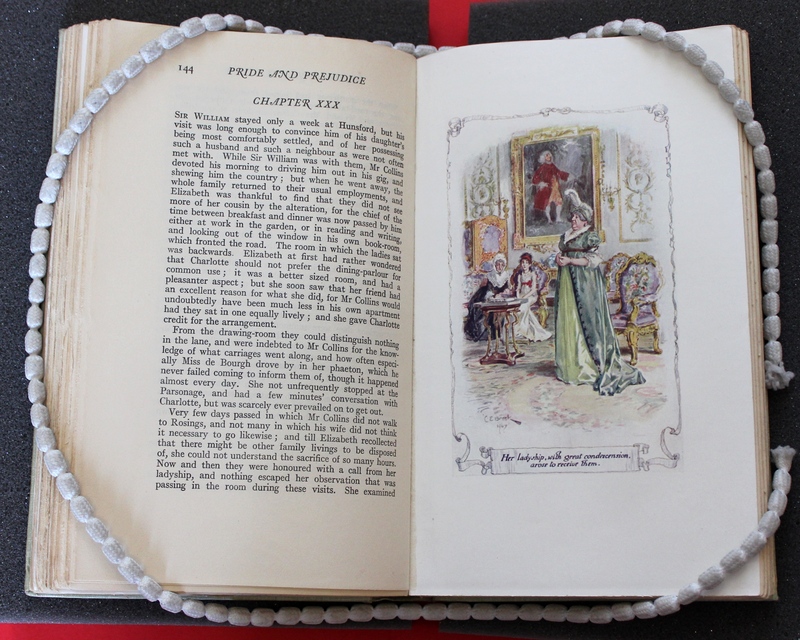 As part of the Jane Austen bicentenary events being run at King’s, we also created an online exhibition of the Austen books shown at the open days on our website and our blog. I took part in the planning of the posts and galleries and did the editing of the photos and text. It didn’t take me long to learn how a website and blog work. I enjoyed helping to edit them because I like knowing that when I look back at these posts, I will remember that I helped to put them there: this makes me feel that I have a personal connection with the Austen events. It also gave me useful IT skills which I feel will be helpful for the future. King’s College webpage showing the Jane Austen section of the digital library. I really enjoyed being part of the Thackeray Project. I fell in love with all of the books and with King’s College itself. 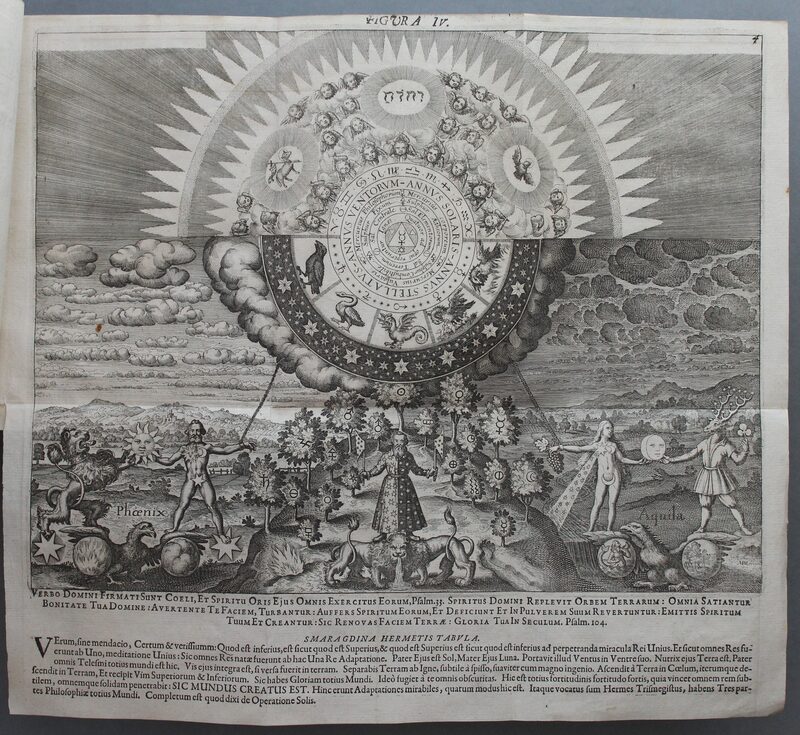 I have enjoyed working with rare books so much that I have decided that I would like to specialise in this area in the future. I continue to volunteer in the library. In addition to my work in the library, I have recently started to volunteer in the Archives as well (as of November 2017). It might seem that we have been a little quiet here recently, but that is because we have been working hard behind the scenes on our digital library which we are now able to share with everyone. 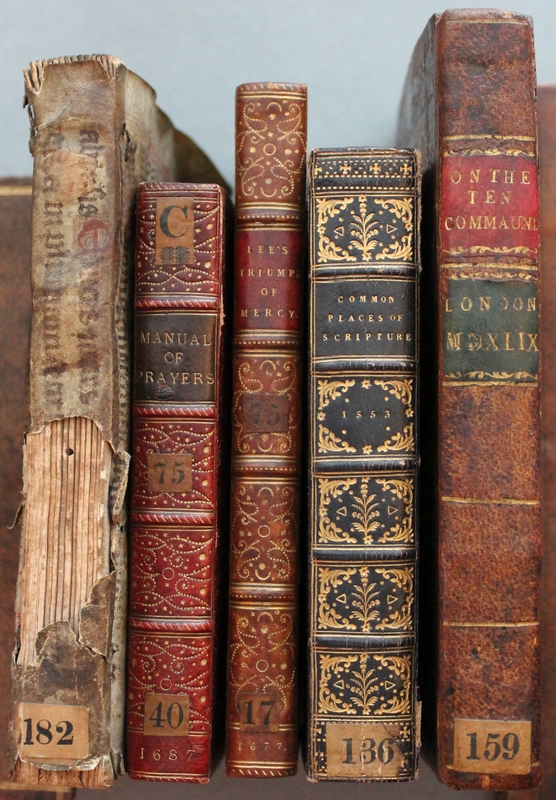 Rare book spines (from left): vellum (gatherings exposed), three with raised bands and decorative gold-tooled panels, the last without raised bands, but with coloured leather spine labels tooled in gold. 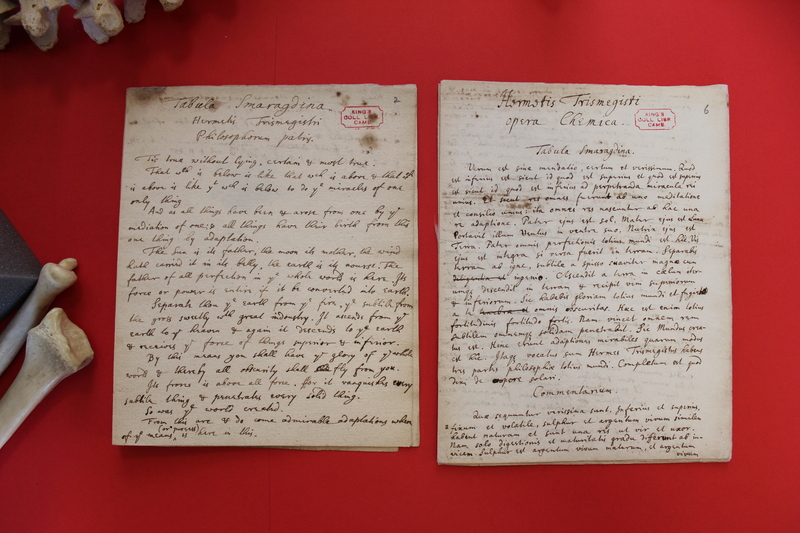 One of the objectives of our HLF-funded project, which is centred around the rare book collection of former King’s Provost George Thackeray (1777-1850), is the creation of a corpus of digital content that will last well beyond the lifetime of the two-year project. This can now be viewed on the King’s website here. 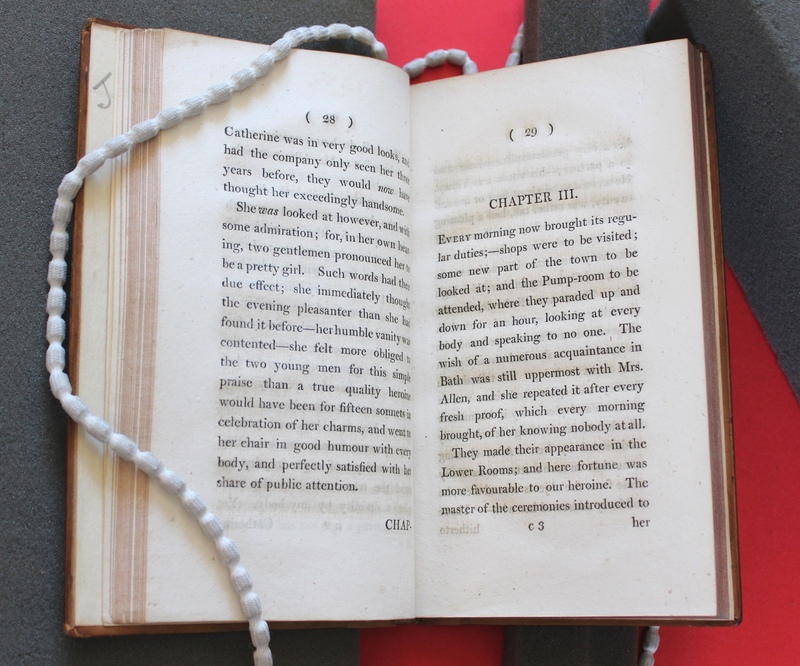 The digital library, which we will continue to add to during the project, currently includes a gallery of book bindings, title pages, a gallery showing the stages of book conservation and a page devoted to the first and early editions of Jane Austen. 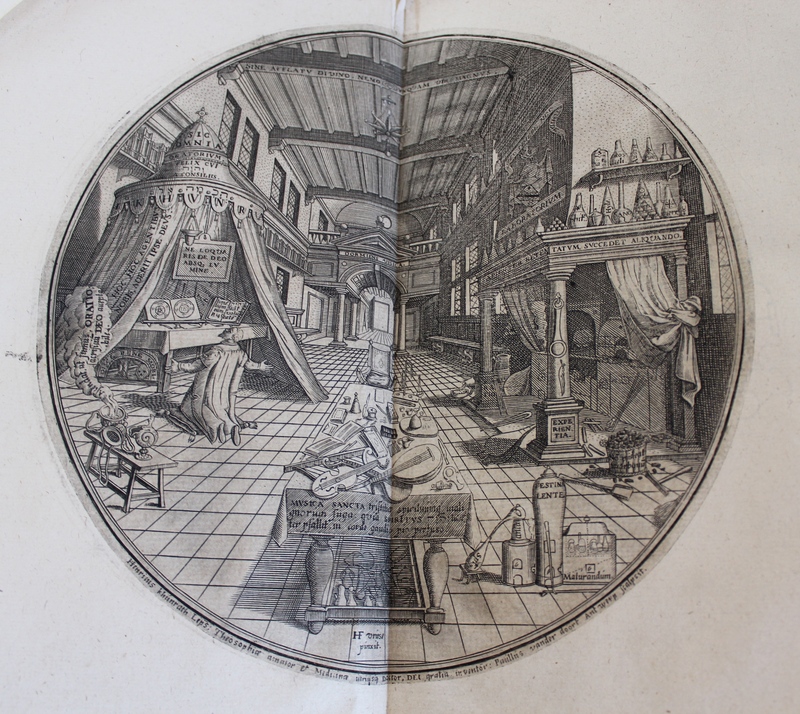 Stay tuned for many more images from the Thackeray collection! 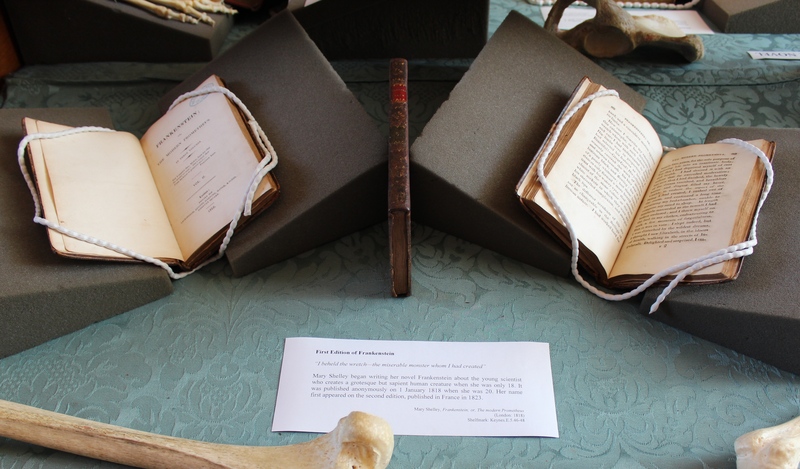 On 18 July 2017, the 200th anniversary of Jane Austen’s death, King’s College Library mounted an exhibition featuring first editions of all of Austen’s novels, the autograph manuscript of her unfinished novel Sanditon, a manuscript letter to her publisher, a book from her library, early translations of her novels, and other rare treasures. The event was a great success and was attended by over 1,000 people. Some of this material was used in our Open Cambridge exhibition which attracted over 1,400 visitors during the weekend of 8-9 September. We present below some highlights from the second part of the exhibition for those who could not visit in person. 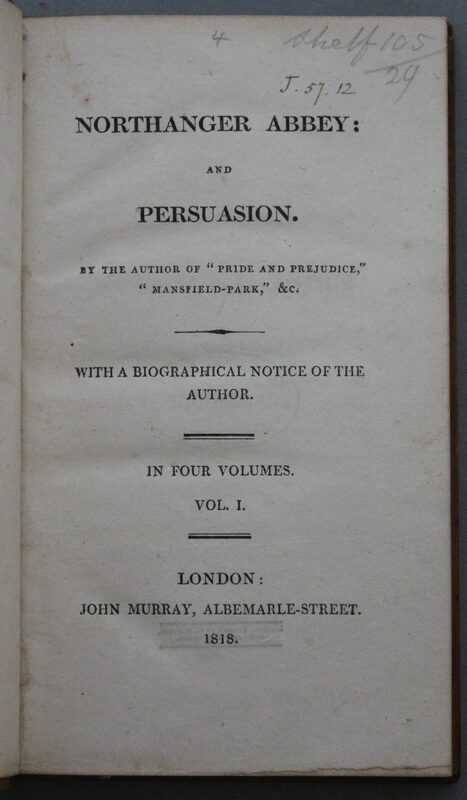 Persuasion was first printed in French in 1821. 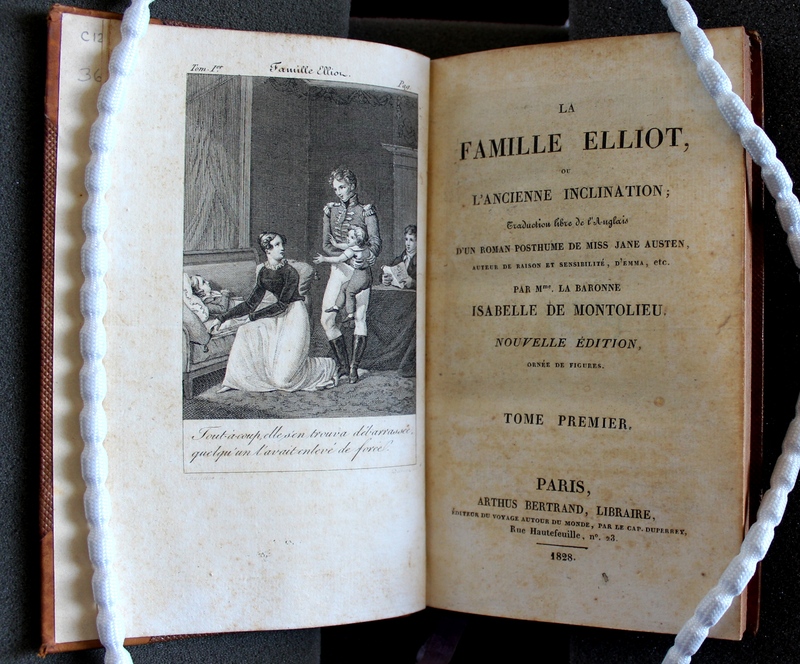 This copy of the second French edition (1828), freely translated by the Swiss novelist and translator Isabelle de Montolieu (1751–1832), belonged to Sir Geoffrey Keynes, the younger brother of John Maynard Keynes. 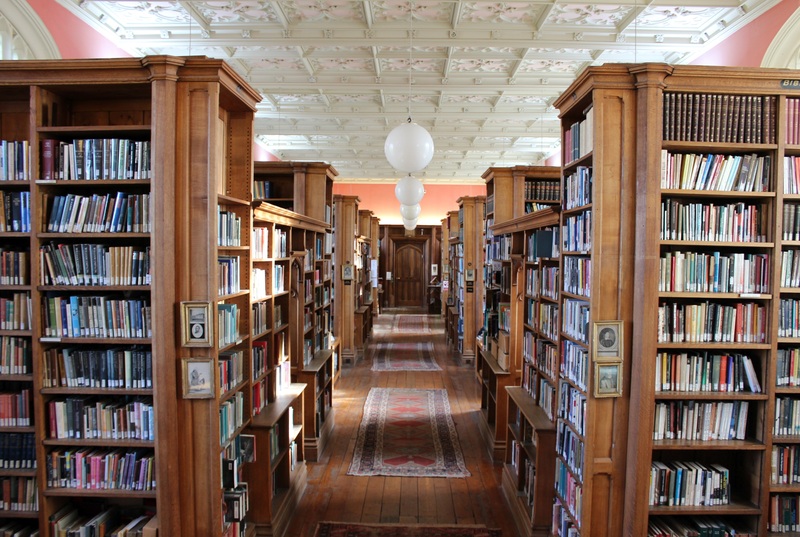 Routledge’s Railway Library, intended for ‘amusement while travelling’, began in 1849 as a shameless imitation of Simms and McIntyre’s Parlour Library. 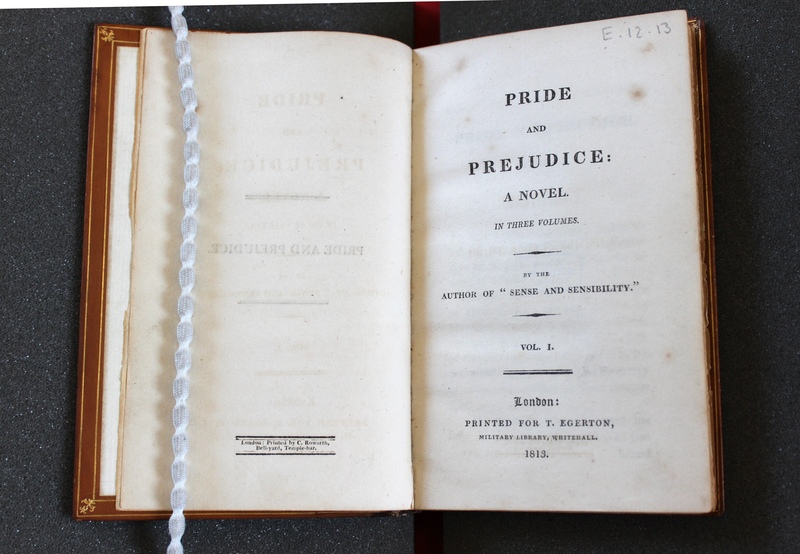 The inclusion of Pride and Prejudice in the series in 1850 is a testament to the popularity of the novel at the time. 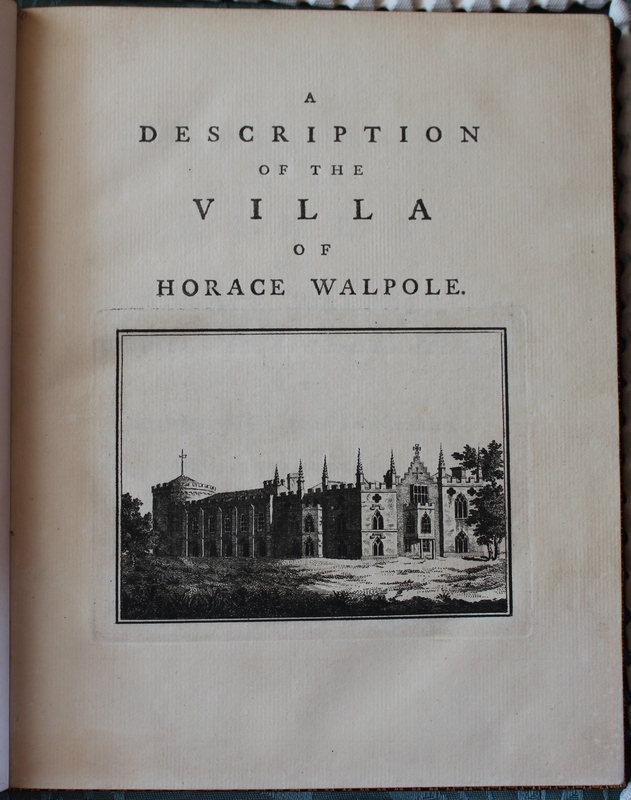 Chapman and Hall’s series ‘Select Library of Fiction’ was closely associated with W.H. Smith, who carefully sought out copyrights, or reprint rights, of popular novels in order to publish yellowback editions for sale on his railway bookstalls. 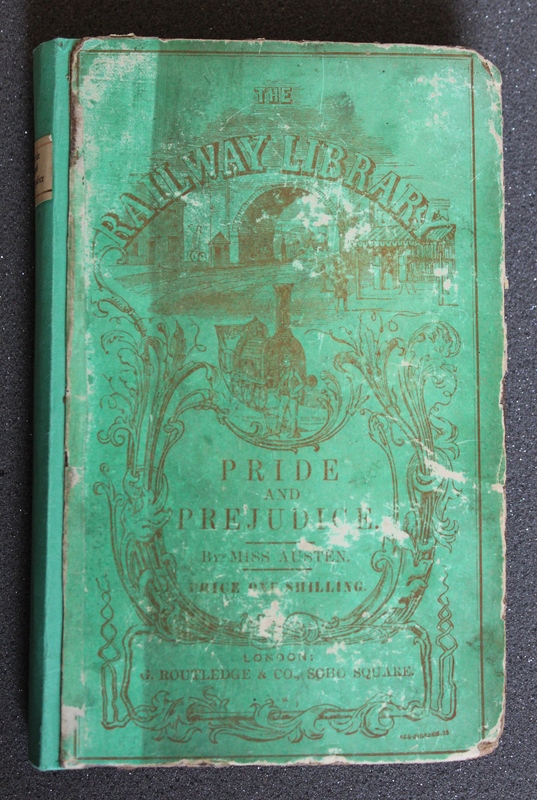 The series, which ran from 1854 until it was taken over by Ward, Lock in 1881, included at least thirty novels by Anthony Trollope, who had strong views on the poor quality of much railway literature. 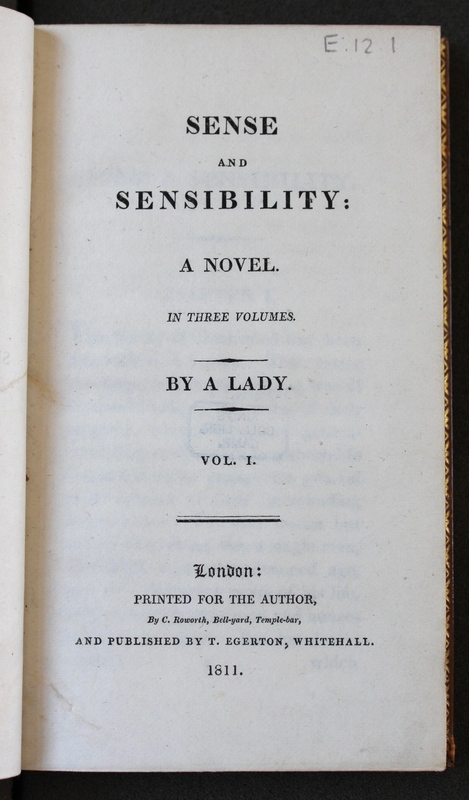 This is one of the few known copies of Sense and Sensibility in yellowback. Lady Catherine is fully aware of her station in life and had no qualms in making others aware of this. 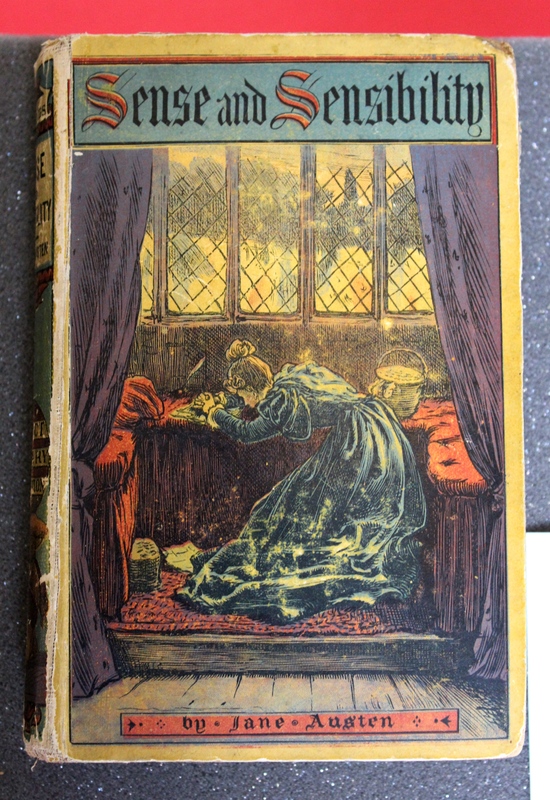 This edition of Pride and Prejudice is illustrated by the Cambridge-based artist Charles Edmund Brock. In this scene from A. A. Milne’s stage adaptation, Jane and Mr Bennet discuss Lydia’s elopement with Mr Wickham, fully aware of the social implications and prospects for the family as a result. 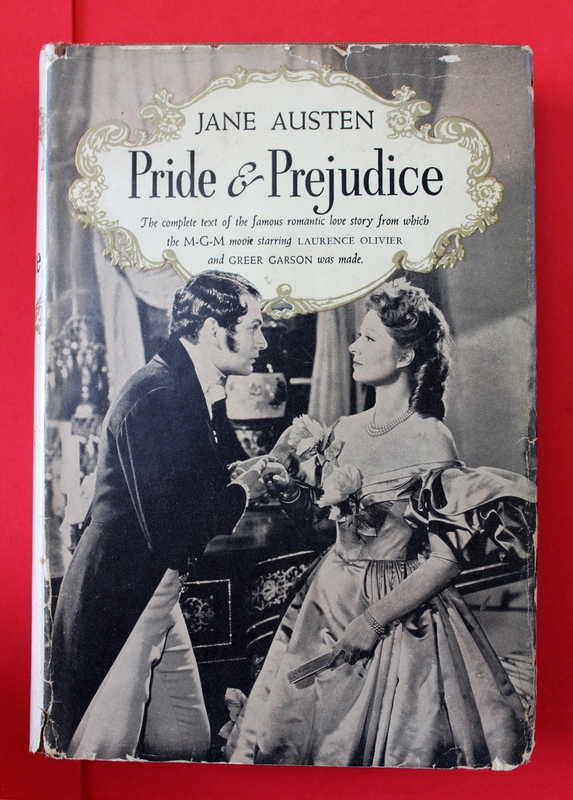 The 1940 film adaptation of Pride and Prejudice, starring Greer Garson and Laurence Olivier, is notorious for drastically diverging from the novel and being excessively ‘Hollywoodized’ — and for putting the women in clothes based on the styles of the late 1820s and 30s. This publication, which coincides with the release of the film, bears the subtitle: ‘The complete text of the famous romantic love story from which the M-G-M movie starring Laurence Olivier and Greer Garson was made’. 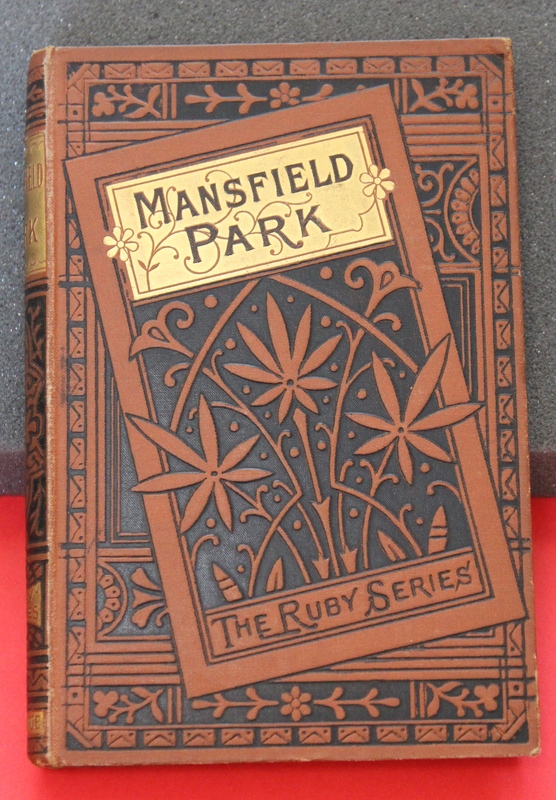 This Victorian edition of Mansfield Park was presented to E. M. Forster’s mother by his father, and was later inherited by Forster himself. 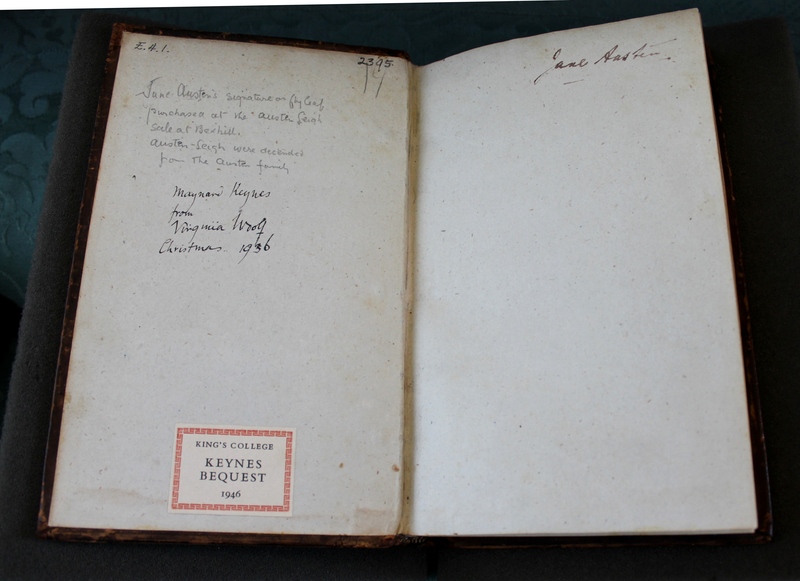 One of the highlights in the exhibition was Jane Austen’s copy of Orlando furioso, signed by her on the fly-leaf, sold by the Austen-Leigh family, bought by Virginia Woolf, and inscribed by Woolf to John Maynard Keynes at Christmas 1936. 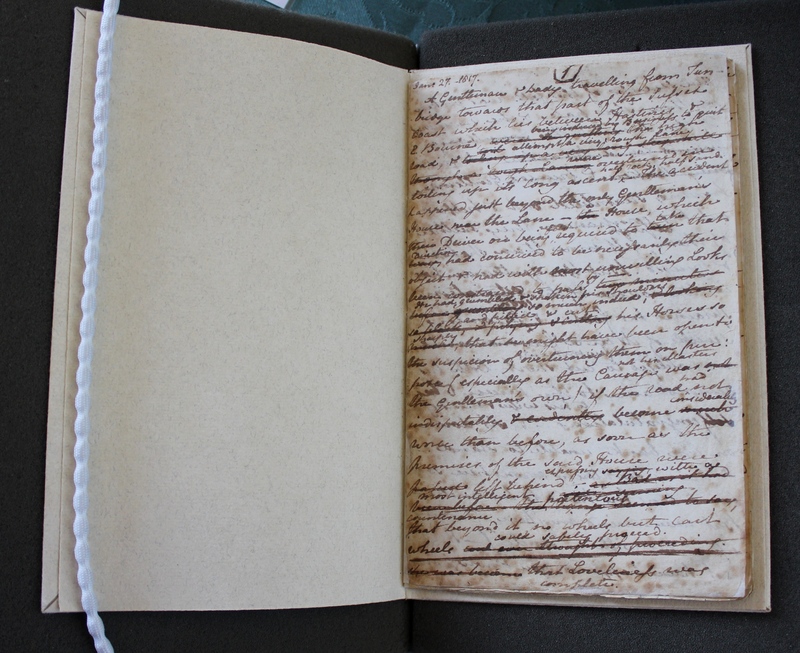 King’s College owns the manuscript of Jane Austen’s unfinished novel Sanditon, the last one on which she was working before she died on 18 July 1817. It is a rare surviving autograph manuscript of her fiction. It was given to King’s in 1930 by Jane’s great-great niece (Mary) Isabella Lefroy in memory of her sister Florence and Florence’s husband, the late Provost Augustus Austen Leigh who was a great-nephew of Jane. The booklets were made by Austen herself. The last writing is dated 18 March 1817. She died four months later. Our series of events marking the bicentenary of Jane Austen’s death culminates in a public lecture on the publication of the first and early editions of Austen’s novels by a leading expert, Dr Linda Bree (Cambridge University Press), editor of Jane Austen’s Persuasion (1998) and the Cambridge Edition of Austen’s Later Manuscripts (2008). The lecture will be held in the Audit Room at King’s College, Cambridge on Tuesday 24th October 2017 at 6pm. 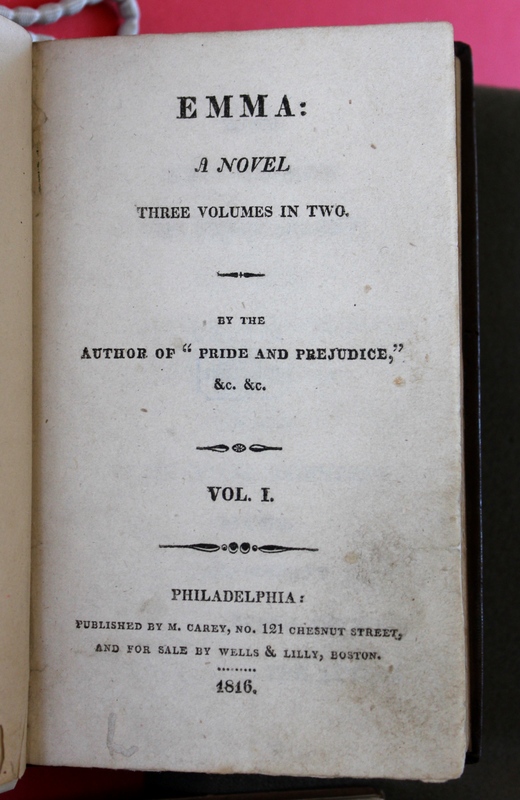 Dr Bree’s lecture, entitled “Jane Austen in Print”, will focus on the appearance in print of all the first editions: how they were first published, what they looked like and how they were received, her relationship with her publishers, and the posthumous editions of Northanger Abbey and Persuasion. 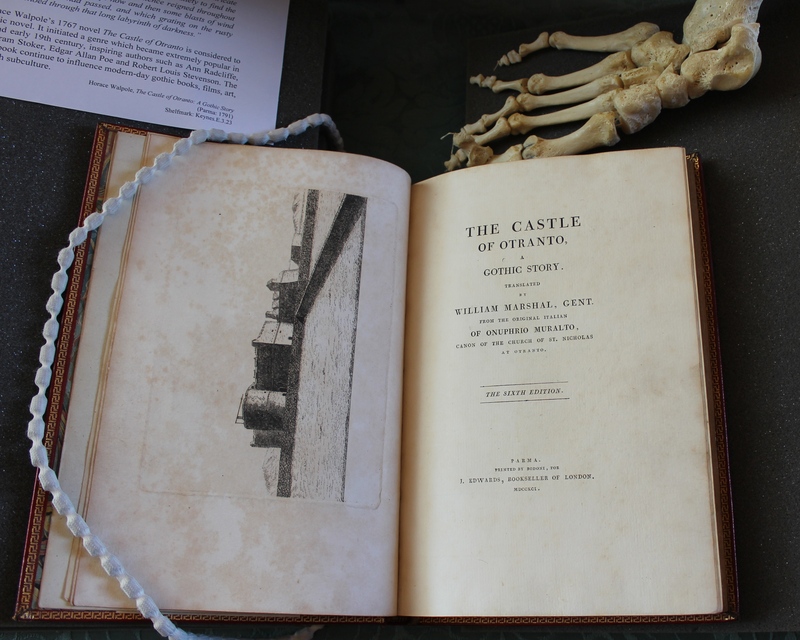 Those attending the lecture are invited to visit King’s College Library to view first editions of all six novels on 24th October between 5pm and 6pm and after the talk. We look forward to seeing you there! To mark the bicentenary year of Jane Austen’s death, King’s College Library and Archives are hosting an exhibition showcasing first and early editions of the author’s much-loved novels, alongside the autograph manuscript of her unfinished novel Sanditon and treasures highlighting the Austen family’s connection with the College. 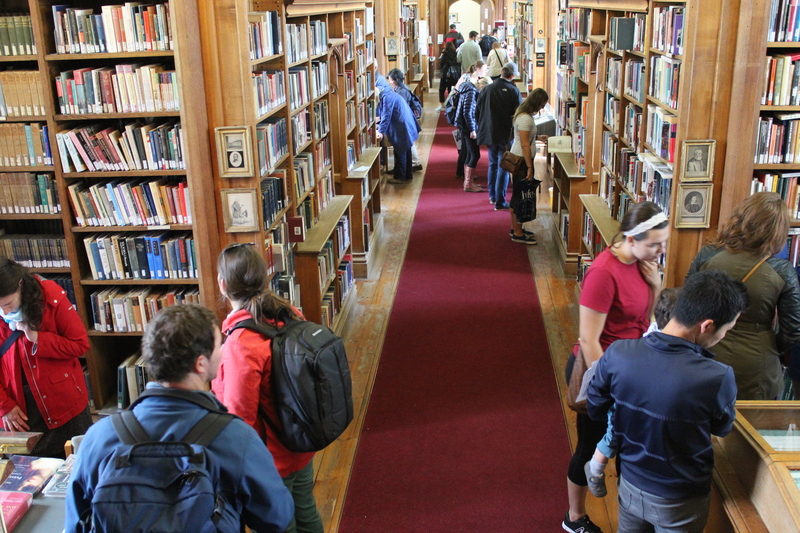 This two-day event, which is part of the Open Cambridge weekend, is a rare opportunity to take a look inside the College’s beautiful early nineteenth-century library designed by the architect William Wilkins. If you would like to find out more about one of Britain’s most loved novelists, why not pop in when you are in town. 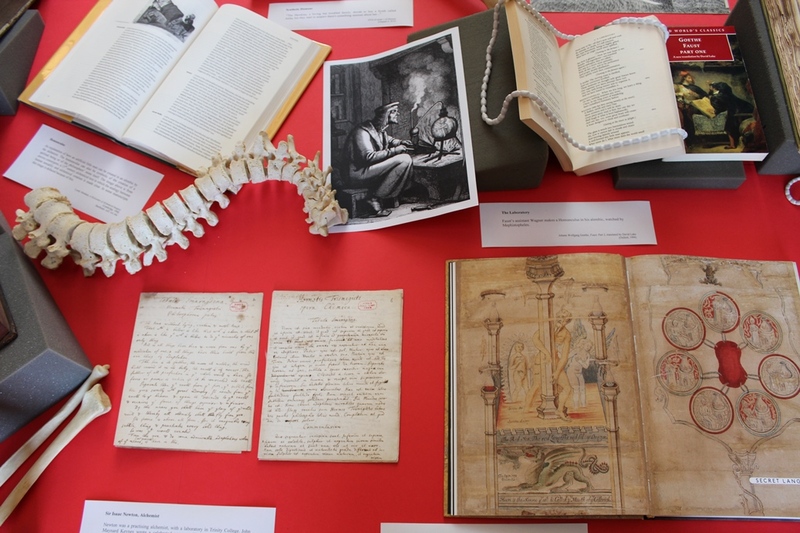 This free exhibition is open to all and can be viewed on Friday 8 and Saturday 9 September between 10:30am and 4pm in King’s College Library. Upon arrival at the front gate of King’s College, tell the member of staff on duty (or the porters) that you are visiting the Jane Austen exhibition. They will direct you to the College Library (see map below). 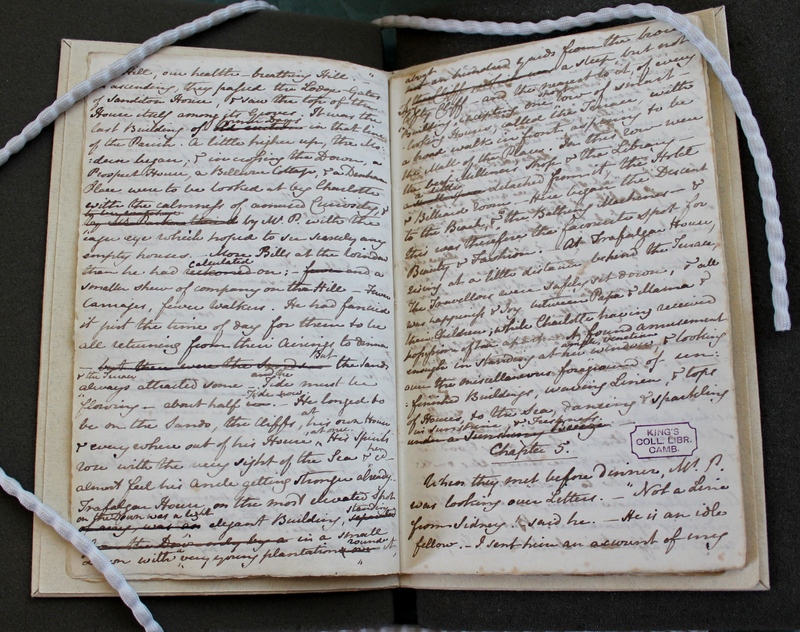 On 18 July 2017, the 200th anniversary of Jane Austen’s death, King’s College Library mounted an exhibition featuring first editions of all of Austen’s novels, the autograph manuscript of her unfinished novel Sanditon, a manuscript letter to her publisher, a book from her library, early translations of her novels, and other rare treasures. The event was a great success and was attended by over 1,000 people. We present below some highlights from the first part of the exhibition for those who could not visit in person. 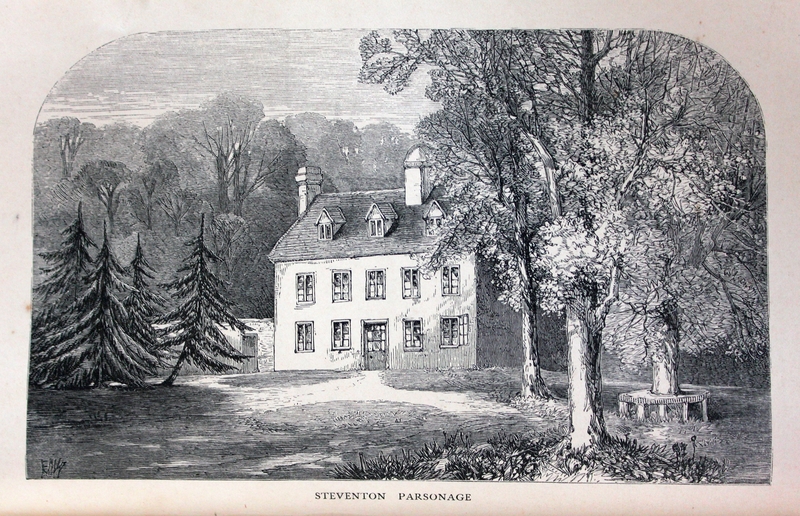 Jane was born in Steventon parsonage in Hampshire, and lived the first 25 years of her life there. She drafted Sense and Sensibility, Pride and Prejudice and Northanger Abbey in Steventon. She was so distraught when she was told the news in December 1800 that the family would be moving to Bath that she fainted. Sense and Sensibility, Austen’s first novel to be published, was written in epistolary form around 1795 in Steventon under the title Elinor and Marianne. It was begun in its present form in autumn 1797 and revised and prepared for publication in 1809-1811 when Jane was living in Chawton. 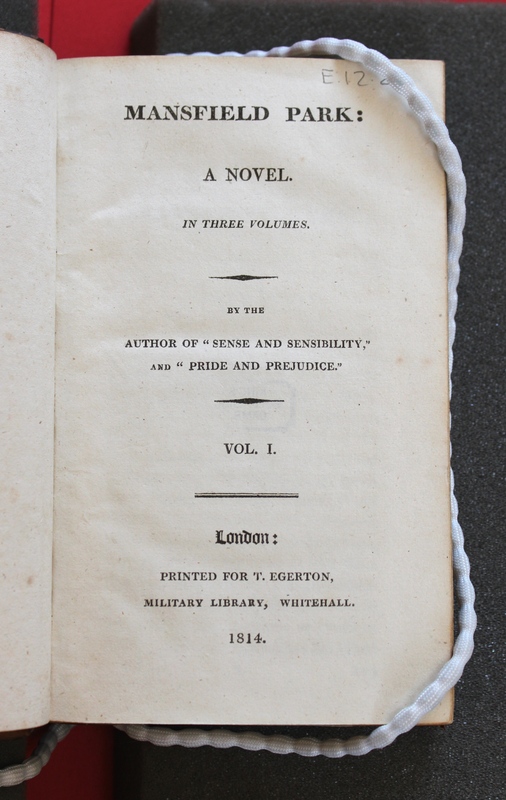 Pride and Prejudice, originally titled First Impressions, was offered for publication to the London bookseller Thomas Cadell, but the offer was declined by return post. 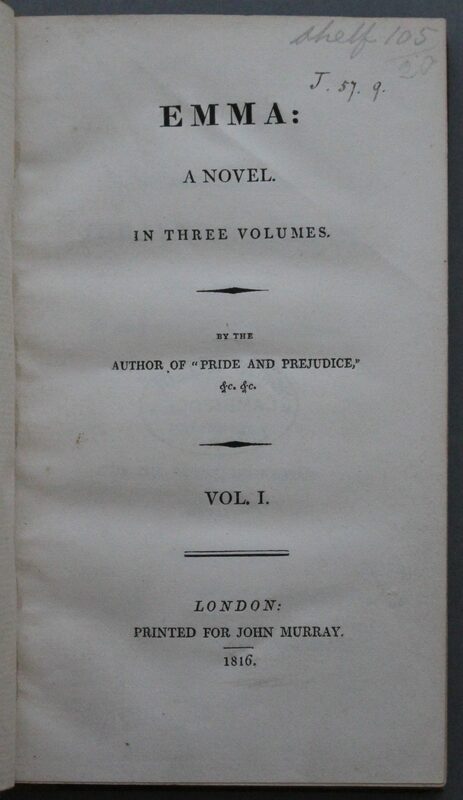 The novel was subsequently published by Thomas Egerton under the revised title Pride and Prejudice. 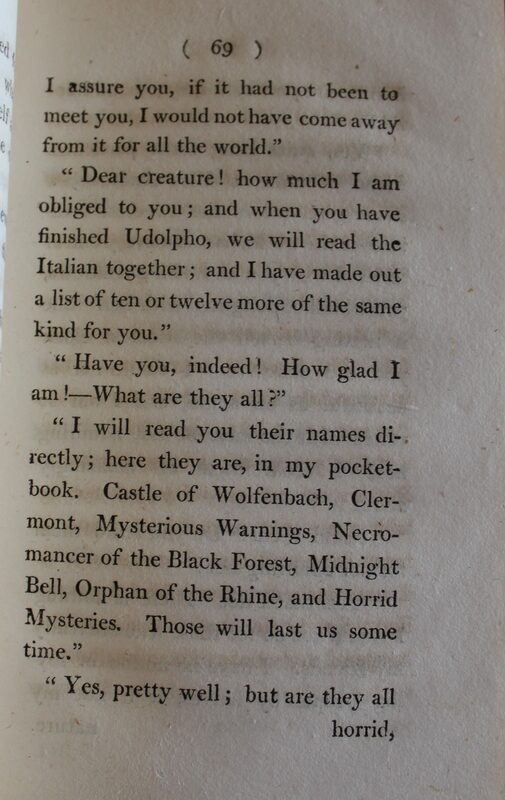 Upon receiving her copy of the first edition from the publisher, Jane wrote: ‘I have got my darling child from London’ (27 Jan 1813). The Austen family lived in Bath between 1801 and 1806. Jane was familiar with the Pump Room, which is used as a setting in her novels Northanger Abbey and Persuasion. 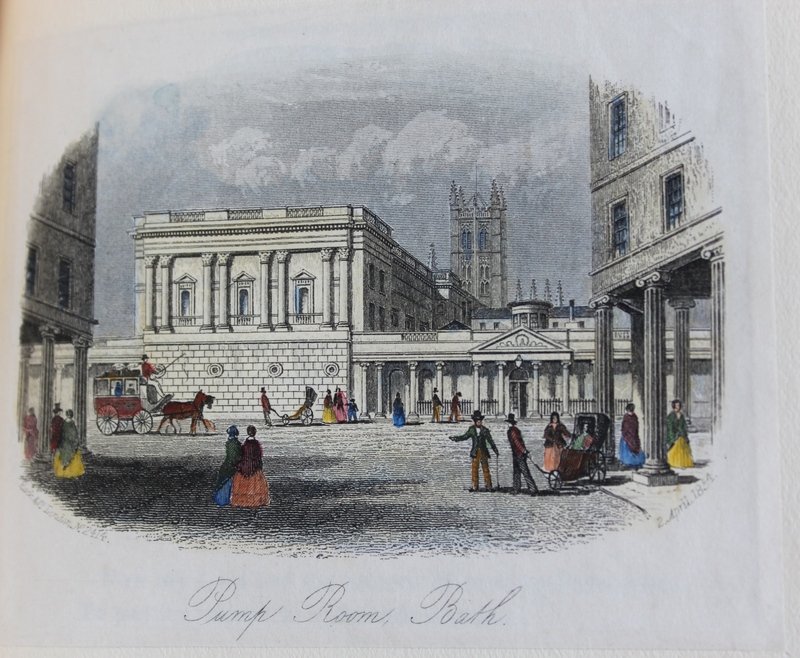 This image, from The New Bath Guide (1807), shows the Pump Room, a venue for fashionable people, as it would have looked during Jane Austen’s time there. 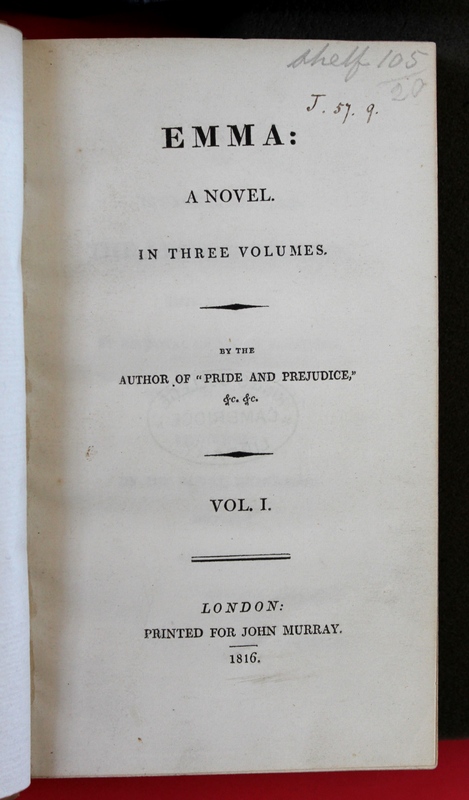 Austen’s novels Persuasion (written 1815-16) and Northanger Abbey (written 1798-99) both appeared posthumously in a four-volume set in December 1817, although the title page states 1818. They are prefaced by a ‘biographical notice’ written by Jane’s brother Henry Austen in which Jane’s identity is revealed for the first time. She appears to have intended to publish Persuasion in 1818 but did not live long enough to do so. In 1809 Austen’s brother Edward offered his mother and sisters a more settled life – the use of a large cottage in Chawton, near Alton in Hampshire. Whilst living in Chawton Jane published her first four novels. She also wrote Mansfield Park there between 1811 and 1813. 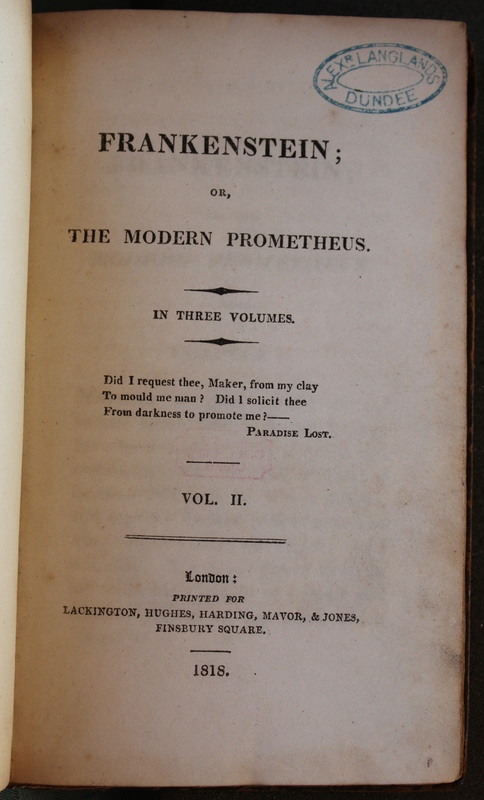 It was first published by Egerton in 1814 and a second edition was published in 1816 by John Murray, still within Austen’s lifetime. It did not receive any critical attention when it first appeared. When Henry Austen was taken ill in London in October 1815, he was attended by his sister Jane and by one of the Prince Regent’s doctors who identified her as the author of Pride and Prejudice. 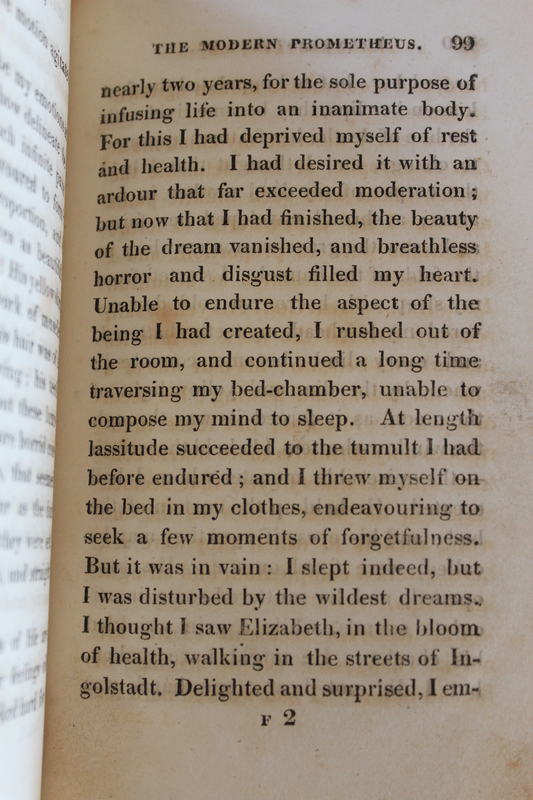 The doctor reported that the Prince (later George IV) was a great admirer of her novels and she was invited to dedicate one of her future works to the Prince. Emma was the lucky work. Jane disapproved of the Prince’s treatment of his wife, but felt she couldn’t refuse, so she settled for a title page reading simply ‘Emma, Dedicated by Permission to HRH The Prince Regent’, though her publisher (John Murray) thought it ought to be more elaborate. 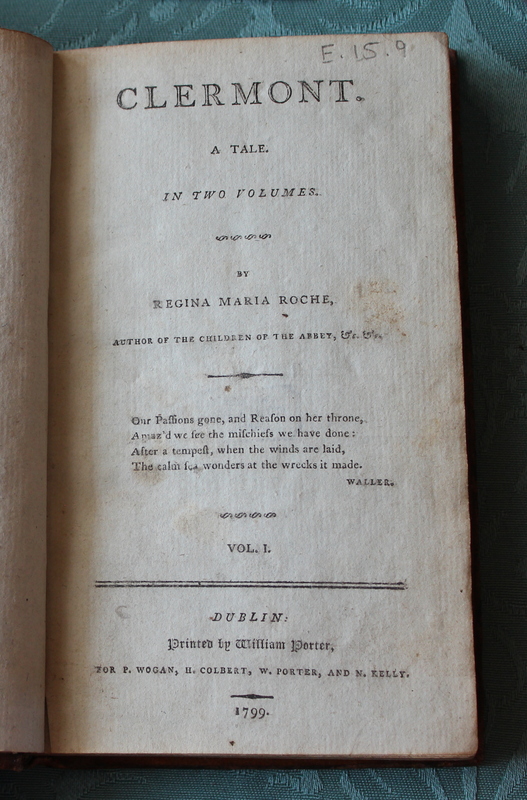 This copy of the first edition of Emma belonged to King’s Provost George Thackeray (1777–1850). Several months after the dedication of Emma, Jane wrote to John Murray and reported that the Prince had thanked her for the copy of Emma. 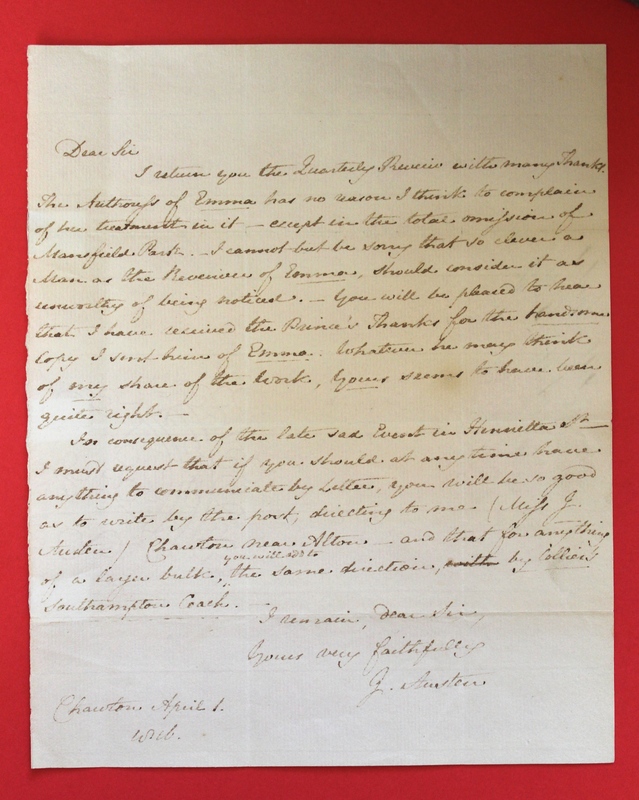 In the same letter she notes that in a recent review of the novel, the anonymous reviewer (later established as Sir Walter Scott) completely fails to mention Mansfield Park, remarking with regret that ‘so clever a man as the reviewer of Emma, should consider it as unworthy of being noticed’. 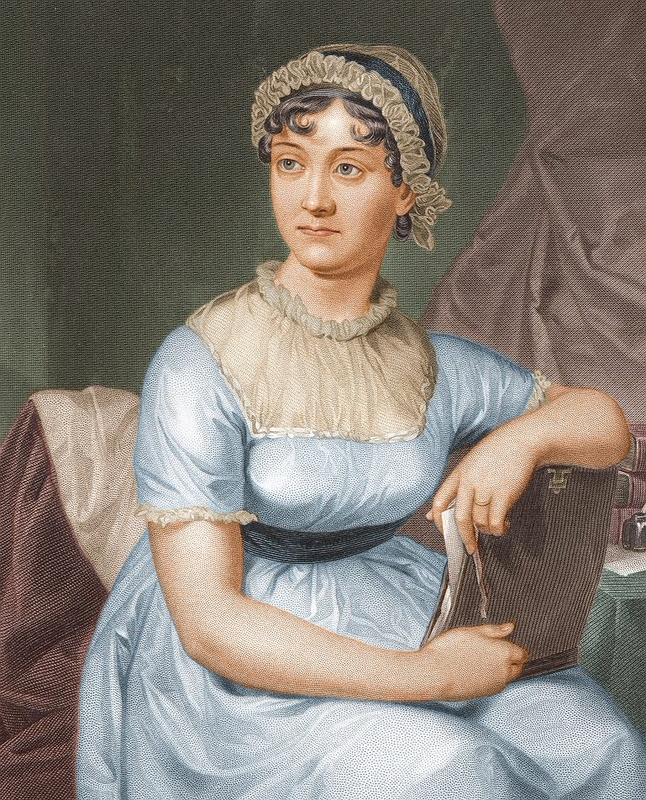 Jane Austen was seemingly unaware that one of her novels was published in America during her lifetime. 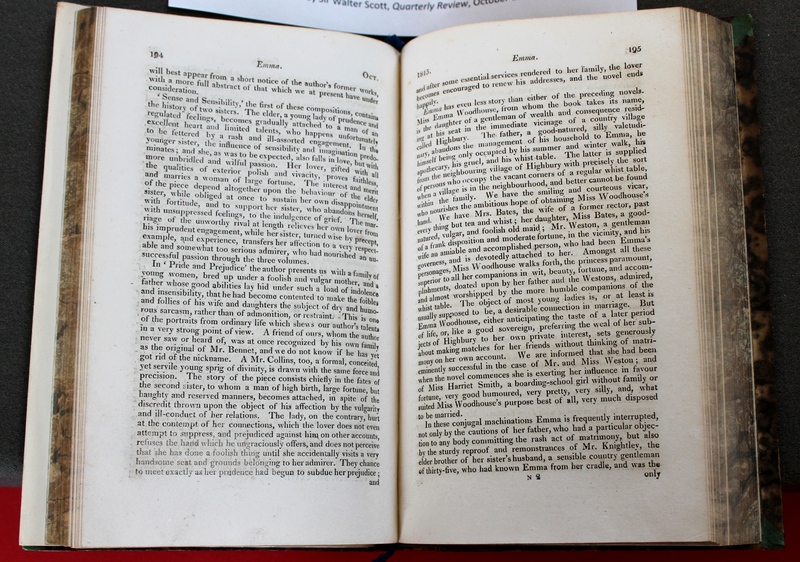 This is one of only four known copies of the first American edition of Emma. 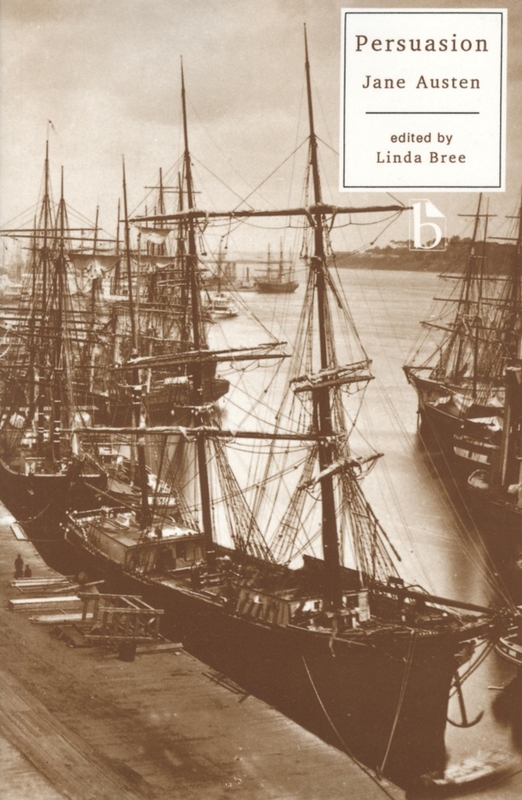 The rest of her novels were not published in the US until the early 1830s. As well as the expected differences in spelling and punctuation, the text has also been bowdlerized. 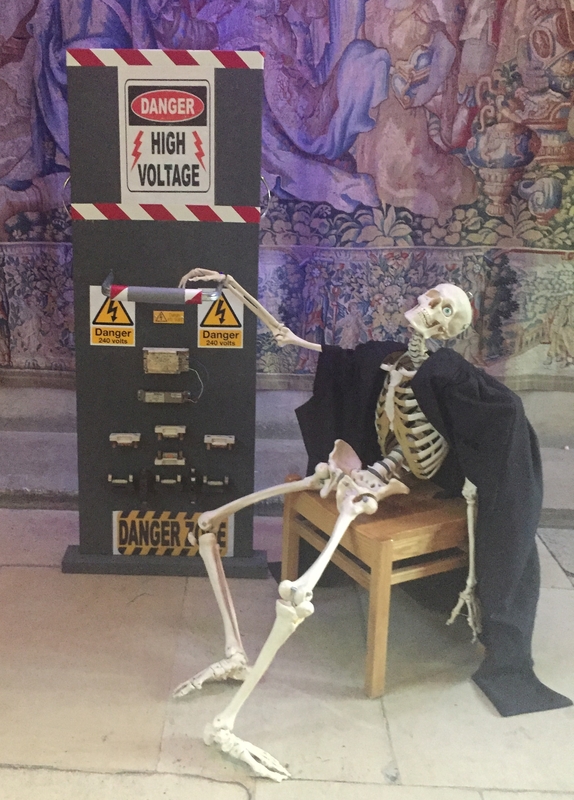 Due to popular demand, an expanded version of this exhibition will be presented as part of the Open Cambridge weekend on 8 and 9 September 2017. So if you couldn’t make it this time, or would like to see the exhibition again, please put these dates in your diary! More details will follow here in due course.